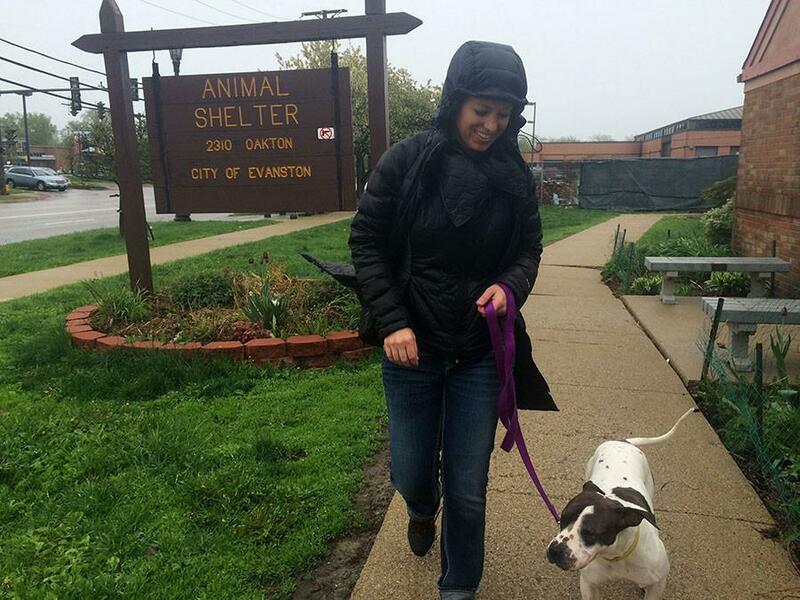 A volunteer with the Evanston Animal Shelter walks a dog near the shelter’s grounds. The shelter will hold a gala Saturday as a way to fundraise and strengthen community ties. At a gala this weekend, the Evanston Animal Shelter hopes to not just raise money, but celebrate how far it has come in the past few months, members of the organization that runs the shelter said. “Since June, we’ve not only made it a goal to increase adoptions but to be a resource to the community,” Daggett said. EASA took over the animal shelter last year after City Council decided to cut ties with Community Animal Rescue Effort, the previous organization that ran the shelter. Originally funded by the city, the shelter transitioned to a nonprofit model in October, leaving EASA to take control of all expenses. Alisa Kaplan, co-president of EASA along with Vicky Pasenko, said early fundraising efforts have gone well, but coming up with funds is challenging. The nonprofit has looked to partner with local businesses and Northwestern students to raise money, and more funds are likely to come from the gala. Alex Theis, coordinator for the Noyes Cultural Arts Center, said he was happy to have the Evanston Animal Shelter host its event at the space as it is advantageous for both the shelter and the center. Since EASA moved into the shelter, its adoption rate has stayed at an average of one animal a day, Pasenko said. What is more important, she added, is the live release rate, or how many animals are able to leave to a permanent or foster home alive. As of now, the shelter has about a 99 percent live release rate, Pasenko said. This live release rate is what led to CARE’s departure from the facility in 2014 as its euthanization rate for canines was about 45 to 50 percent in 2012, a statistic the organization disputed. As of October, EASA had only euthanized three cats for medical reasons. Although much of the funds EASA raises go toward its animals, the shelter is also involved with providing services to the families that leave their animals behind, Pasenko said. If a family is dropping off an animal because they lost their home, the shelter tries to connect them with the city’s social service organizations or provide them with food if they cannot afford it, she said.